I am not alone in my generation in thinking of her as a sort of mother figure. In 2006, she had a public conversation with then Paris Review editor Philip Gourevitch at Summer Stage in Central Park, and the crowd was filled with over a hundred people in their twenties and thirties, many gazing at her with adoration. She read from The Year of Magical Thinking and tears streamed down the faces of girls who clutched copies of her books. 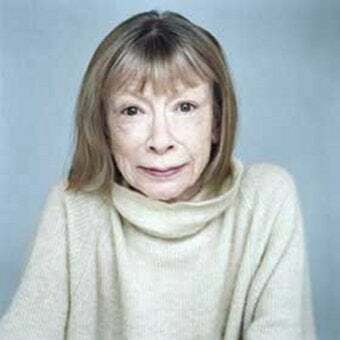 When I've seen Didion read or talk (I wrote about one such instance here) - and it's something you do, if she's reading, and if you can, because she's a bedroom saint - it's kind of like that. The disconnect between what she's saying and writing and the palpable veneration is always kind of jarring. Ironically, for all her detachment, we all feel we know her. She has transcended her work and become a figure of tragedy and a national treasure. As a keen student of hero-worship, Didion herself must find it fascinating.